For those businesses unaware, Google has made a significant change to the layout of their SERP’s page. Previously you had Sponsored Ads on the right-hand side of the search results page and three Sponsored ads above the main Search Results as seen in the picture depicted below. 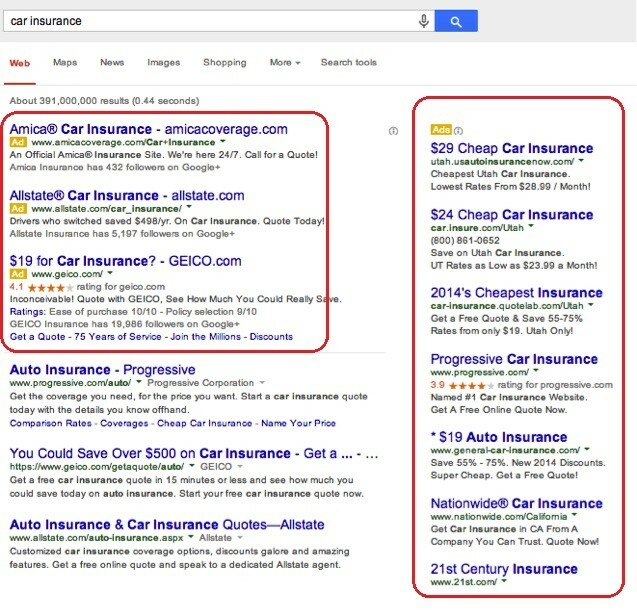 The Old Google SERP Layout had more emphasis on advertising displaying a large number of paid ads in the search results. Having more ads displayed means they were able to deliver higher impressions resulting in clicks for the client. In theory, more relevant ads mean greater opportunity to have your ad seen bringing the cost per click down. There are other factors involved to bring the cost per click down like the Title, URL, Description and Landing page relevance, but Google displaying more ad positions provided you a greater chance of being seen and receiving clicks. From the picture above you can see that the right sidebar displaying Ads is no longer apparent and Google have added an extra Ad position at the top of the Search Results page from 3 to 4. 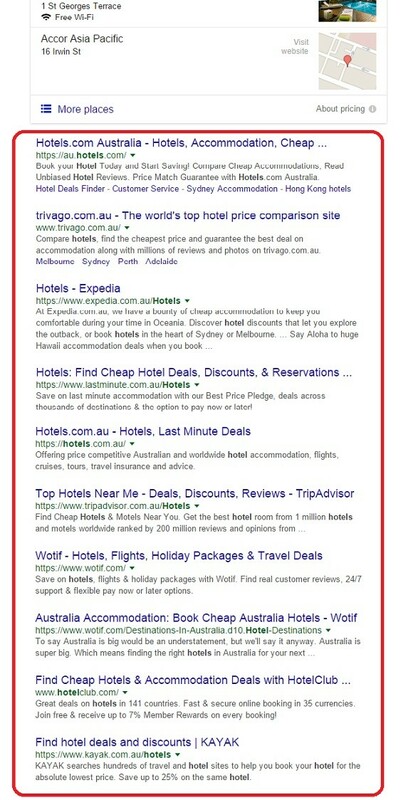 Paid ads are still shown at the bottom of the SERPS from pages 1 to 4. The question is now, what is Google trying to achieve with this new layout, and the answer is quite obvious. 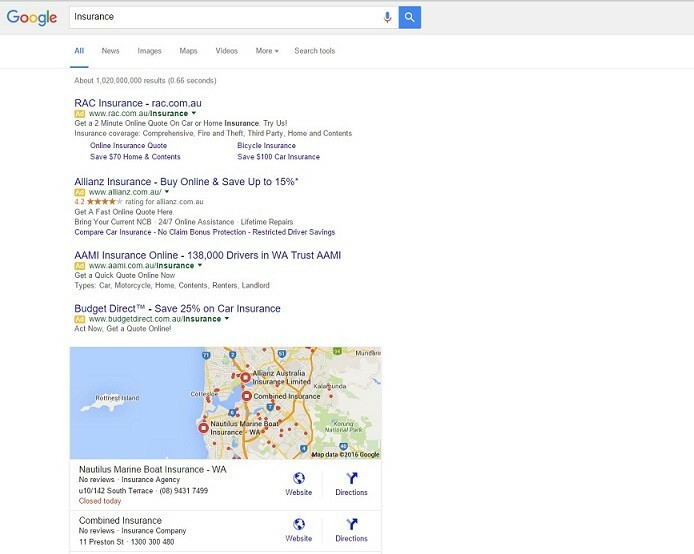 Google is looking to make the Ads feel more a part of the search results, with the previous layout you can differentiate the Ads on either side but with the new layout, the Ads now blend in with the organic search results. If you’re typing in Keywords that are relevant to businesses for example – Insurance, Digital Agencies, Hotels etc than Google My Business Map is Displayed. For those catching up, Google Maps had a makeover few updates ago with the usual 7 pack replaced with 3. So with Google looking to make the ads blend more with the Organic search results and Map listing how will this affect the user experience? This is defiantly some fruit for thought and we thank Brandt for his opinion. It will be interesting how the new changes play out and as more data is collected we will see if this brings improvement not only for businesses but more importantly for user experience. The new Google SERP layout changes might seem minimal to the blind eye, but you will be shocked how this will affect our search engine marketing. So let’s take a look at how this change will affect your business. No sponsored ads right sidebar means fewer ads are displayed on the search results page. With fewer ads being displayed, this potentially drives up bidding especially for competitive keywords with high search volumes. A quick solution would be to bid on low volume keywords but Millions of others will be thinking the same thing. Note* this would be a process more matched for an E-commerce store, depending on your business your process could simply be a landing page requesting the user to opt-in for more information or click to call. What we do know is the quality of your process needs to be of a high standard as Google will factor all of this to determine the bidding and what CPC you will pay overall. Landing Page Quality: Is the content relevant to the Keyword, if so is it present throughout. Bounce Rate: How long is the user staying on your site after they clicked your ad, are they bouncing right off, if so you will need to address why because this can hurt you. Domain Authority: What’s the web safety like of the domain? The number of Quality Backlinks, Has this domain been penalized by Google or Elevated – Why is this important? Well when you create an Ad Google ask for a site URL, Google trust higher authoritative domains that provide great content over a domain that’s been penalized provides poor content and user experience. With an extra Ad placed at the top of the SERPS, this has shortened the Organic listing by 1 from 11 organic listings to now 10 which is shown in the image below. 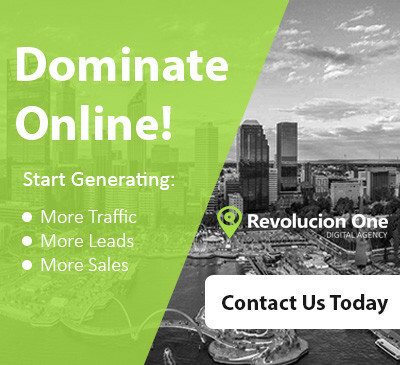 This new layout will defiantly bring about a change in the game for businesses, so let’s take a look what this could mean for those obsessed about page one rankings. This seems like the most obvious play, with less organic listing the competition for those spaces will be extremely high. Low competitive keywords will defiantly get a spike with the majority of businesses looking to rank for low searched keywords to get page one ranking. With more competition in play including low volume keywords, will defiantly push a lot of businesses to focus their attention on paid search to get their businesses in front of their customer. If this is your move please take into the factors above as you won’t be the only one competing and quality + relevance will be the huge deciding factor. For example: If your product costs money, input FREE as a negative keyword. If you’re selling a product based on color and your keyword is “Red Baseball Caps” make sure to place in color’s you don’t want to get clicks from i.e Blue, Green, Yellow. Negative keywords help define your clicks bringing CPC down, increases your Relevance score and will inevitably improve your CTR. Another option would be to take advantage of other high volume Search Engines Like “Bing” which offer paid advertising. I guarantee your competitors will go down this track. I don’t want you to look at this as a negative but a positive. Being on page 1 of the organic listing is important because it does bring about a greater opportunity to be seen, but this was before the new layout change. 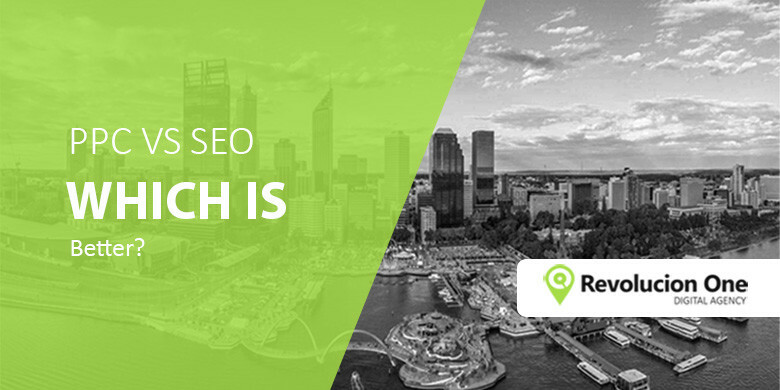 Large corporations, businesses, affiliate marketers, freelancers do everything possible to be at the top of search engines including trying to cheat Google with Blackhat SEO. Ask yourself this, if millions of people were fighting over a piece of real estate what tends to happen? WAR.. which is damaging to both parties. It’s the same thing that is happening with Google right now, everyone is fighting over the same space and it’s obvious Google has recognized this as an issue. Fighting over Page 1 brings less empathize on Google as a Search Engines. Google display millions of results on search queries but pages 2-3-4-5-6-7 hardly seeing the light of day. Google wishes to provide the most relevant content and their algorithm determines what website will provide the best user experience and places it in front of them. With websites moving towards a higher standard this means that there is higher quality content on pages other than page 1. With Google displaying less information on Page 1, this will invite the user to actually flick through Google’s search result pages more often to find the website that provides the greatest experience. If google search pages are receiving more impressions than Google could display more ads throughout pages 1–10. If this were to happen could solve any dilemmas the removal of right sidebar caused. With this new layout, Google is further empathizing quality and weeding out those who disregard it while providing greater opportunities for businesses and content providers to be seen is that they follow the correct SEO methods. This change is more about bringing equal opportunity, don’t forget Google is a business looking to provide a greater user experience and have more users utilizing their products and services. 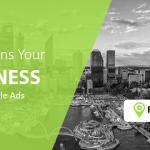 Google recognizes small businesses and these changes you can say are tailored more to them. What are you thoughts on the new Google SERP layout? Please leave your opinion in the comments below.